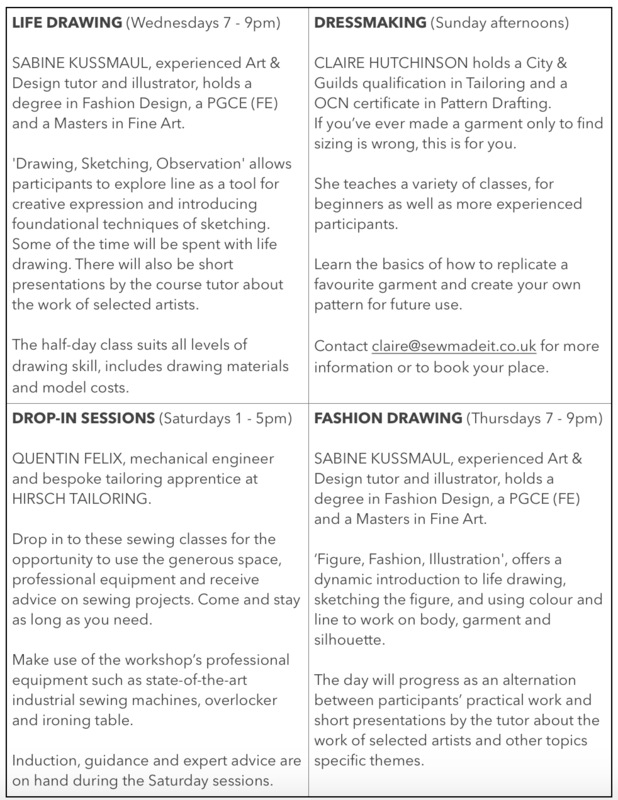 We have launched a programme for those looking for evening or weekend classes. Please use the contact form below to get in touch for more information on times and prices. There is also a series of pattern making workshops for those interested in learning to draft their own cutting patterns – available to book online. CLAIRE HUTCHINSON holds a City & Guilds qualification in Tailoring and a OCN certificate in Pattern Drafting.